We felt so lucky to be at one of our favorite portrait locations two nights in a row! 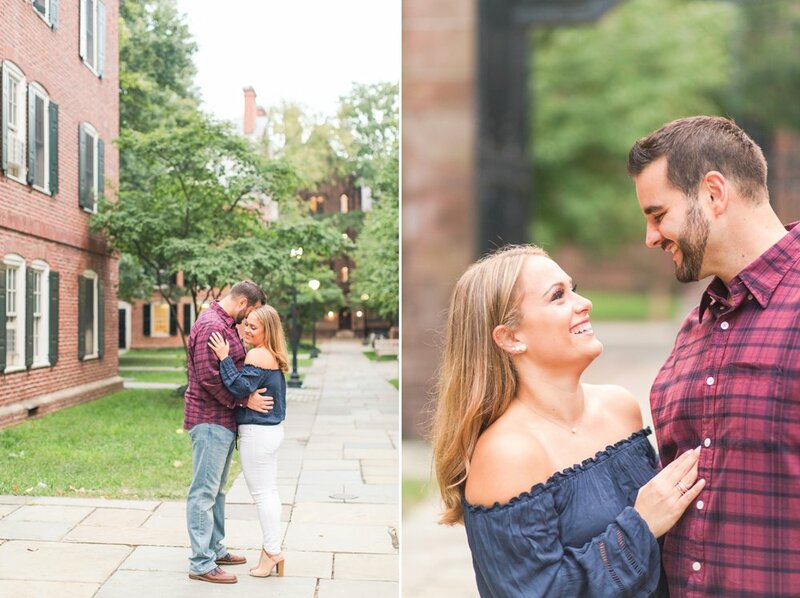 Rachel and Andrew decided on a fall engagement session at the beautiful Yale University campus in downtown New Haven, Connecticut. I will never get sick of photographing our couples in front of all of the beautiful, historic architecture! I’m incredibly thankful for the time we get to spend with our couples during their engagement sessions, because I truly enjoy laughing and spending time with them! Andrew and Rachel are both such kind and welcoming people; at the start of their session, Arturo and I were greeted with warm hugs and big hellos from them both! We shared a wonderful evening with them, chatting about their wedding plans as we strolled around campus. These guys know good Italian food, so they also filled us in on some of their favorite New Haven pizza places! Months prior to the evening Andrew proposed to Rachel, she mentioned to him that she hoped their families to be around to witness the moment they were to get engaged. Rachel also hinted to Andrew that she wanted him to ask her father for permission. He followed her requests perfectly! Andrew asked Rachel's father for her hand in marriage and made sure to include everyone during the night of the proposal. On the night before Rachel's birthday earlier this year, he took her out to dinner to celebrate. Rachel's son, parents, siblings, and grandmothers attended the dinner, as well as Andrew's parents, brother, and sister-in-law. When everyone arrived and sat down, Andrew waited for everyone to get their drinks in order to make a toast. During his toast, Andrew expressed his love for Rachel with heartfelt words mixed with humorous anecdotes. Many tears and laughs filled the room. At the end of Andrew's speech, he got down on one knee and asked Rachel if she would marry him, to which she exclaimed, "YES!" 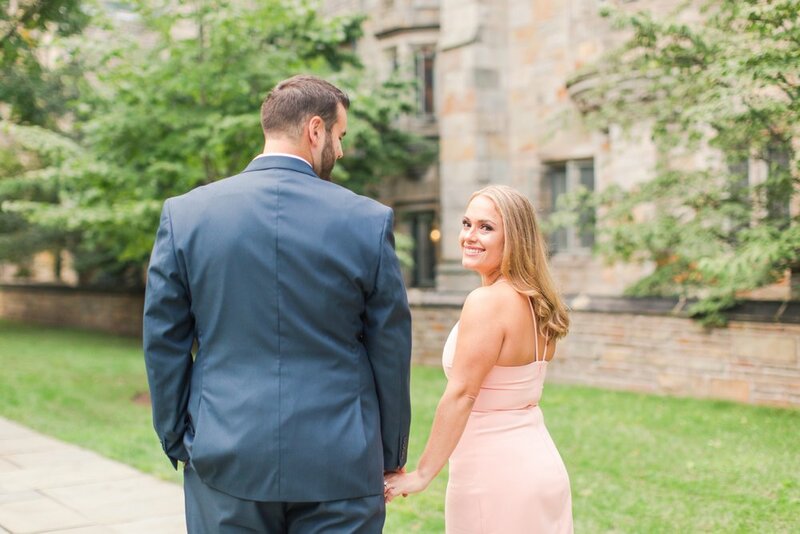 These sweethearts are celebrating their wedding day at Haley Mansion in Mystic, Connecticut next June! We know their coastal wedding is going to be an absolute blast! 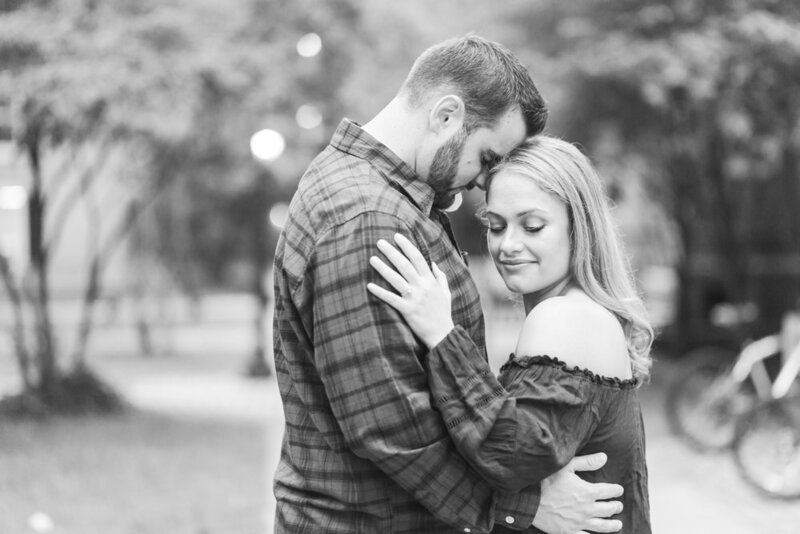 I hope you enjoyed this Yale University engagement session! Do you know Rachel and Andrew? Show them some love by commenting below!